The Frank Lloyd Wright Revival Initiative is pleased to announce that a team of professors from Ryerson University, one of Canada’s preeminent universities, will be undertaking the task of updating Frank Lloyd Wright’s original Banff Pavilion drawings. The partnership is the winning bid from a call for proposals that concluded, August 31st, 2017. 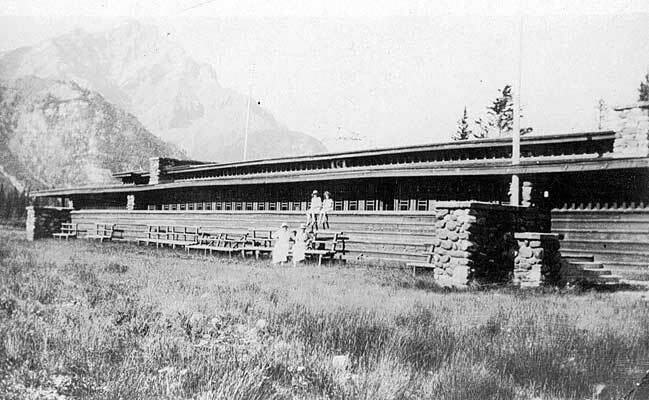 The Banff National Park Pavilion was designed by Frank Lloyd Wright and Francis Conroy Sullivan, Wright’s only Canadian student. The pavilion was designed in 1911 and completed in 1914, before eventually being demolished in 1939. Located within Banff National Park in Alberta, the pavilion was the last of only two Wright designs in Canada. The call for proposals generated significant interest, with over 30 bids received. Ryerson’s bid proved successful, due in large part to its unique structure and expertise –a team of seven, including architects and engineers with specialties in historical restoration, environmental systems and controls, project management, architectural modeling and building performance. Updating the drawings is critical to the next phase of the Pavilion’s revival. When complete, they will be used in the Initiative’s land amendment application to the Town of Banff. Leading the Ryerson team is Yew-Thong Leong, a practicing architect and professor at the university’s Department of Architectural Science. In addition to adjudicating multiple heritage grants, Professor Leong has served on the Toronto Preservation Board, was a winner of a City of Toronto Heritage Award, currently sits on the National Roundtable on Heritage Education and is the founder of the Architectural Preservation and Conservation program at Ryerson. Going beyond fulfilling the logistics of the update, the Ryerson team will be doing a complete literature review on the building, conducting primary and secondary research and will be making their findings public as a way to educate and engage students, faculty, scholars and the broader community in the project.